We have always emphasized reliability and safety, as is demonstrated by the ships in operation. A careful, professional approach has to be taken in regards to the increased shipping activity in the polar regions, whether we are talking about a cruise vessel with large numbers of passengers or a vessel transporting cargo or performing special operations. 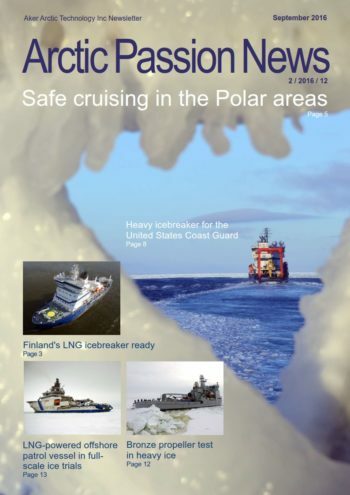 We have written in this magazine about the polar cruises, and we have also detailed the US icebreaker challenges and have given an overview of other activities occurring in the arctic and cold climate projects, where we are working together with our clients to deliver safe, reliable vessels and operations for them.